The statement by GOP senior Congressman Kevin McCarthy that immigration reform is on the back burner until early next year is a grave disappointment. McCarthy made the comments to a group of interested pro-reform activists in his home state of California. As a senior figure in the Republican House leadership, there is little doubt that McCarthy is calling it as it is. This do-nothing Congress has once again covered itself in a blaze of inglorious inaction. The reports are that the House will meet for about six days in November and probably seven days in December. We should all be so lucky with our jobs as this bunch is with the nation’s business. The GOP must surely be aware that the oft-hoisted flag of convenience that inaction represents is no longer good to fly. If there was one thing Irish American Governor Chris Christie proved in New Jersey it was that reaching out to Hispanics and not treating them like sewage waste to be hosed down and dispatched at the nearest point of entry pays dividends. It came about after he committed $1 million in outreach and several staffers in real time to woo the Hispanic community. It worked. 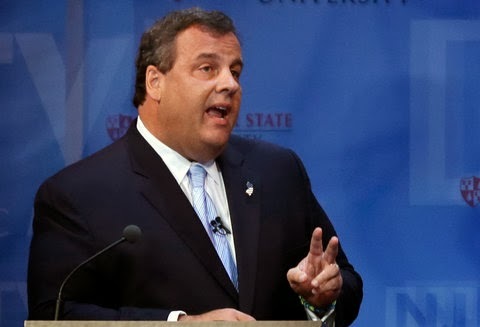 Christie has proven beyond a shadow of doubt that Hispanic votes are there for the taking if the GOP drops their antipathy and arrogance towards that community. Need more proof? Consider Ken Cuccinelli, the GOP's defeated candidate for governor of Virginia. He lost the Hispanic vote 66 percent to 29 percent after doing sweet Fanny Adams to accommodate them. It was more than the margin of defeat against a weak Democratic candidate, Terry McAuliffe. McAuliffe had ethical problems and is a lucky guy that he ran against a candidate who wanted “no mas” outreach to Hispanics. So perhaps the GOP needs a visit to Specsavers so they can read the writing on the wall that as long as they slam, ignore and condemn immigrants, Hispanic voters will react in kind. When they reach out it is a very different story. Clearly the message has not permeated the Elephant Men who run the GOP in the House. They seem determined to do as little as possible for as long as possible about just about everything, especially immigration reform. McCarthy’s comments are just another cop out by a party that continues to confuse indolence and know-nothing sentiment with good governance. Their Republican colleagues in the Senate pointed the way forward in April of this year by passing a comprehensive bill. Since then the House has refused to act. It looks like they will continue their stonewalling in the New Year. If so then the midterm elections may become a lot more interesting than the pundits think. Immigration is the GOP’s Obamacare whether they wish to recognize that or not, with the potential for even more massive long-term damage. McCarthy’s response appears to be to continue to let the band play-on on board the good ship GOP as the icebergs approach. They desperately need a Chris Christie or some new captain to grab the tiller and save them from doom.